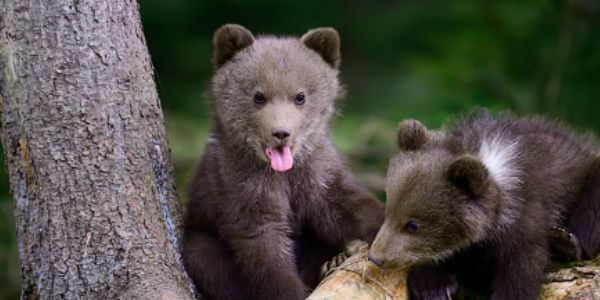 This summer, a 6-month old bear cub was found dead in a circus camp in Lithuania. In response, protesters are begging the government to ban wild animals from circuses to stop the shameful exploitation of the beautiful species that, held in these conditions, are simply entertainment for the masses that don't know any better. Lions, tigers, bears, elephants and many more are broken into submission as cubs, barely weaned, ripped from their mothers' sides and whipped until they blindly obey. The acts they are forced to perform amount to nothing but torture. Being forced to stand on two feet can cause animals to tear their ligaments, and jumping through fire can burn their fur and whiskers. Studies have shown that pain and fear are the only elements that drive wild animals to perform in circuses, with the noise and lights pounding on their senses. The Lithuanian government should follow other countries' example and ban the use of wild animals in circuses. There's no justification for this animal abuse.